As you may agree, we don’t feel the opening shots from MVTV works well with the rest of the piece for two reasons. One, they are not aesthetically consistent, and two, they are shots of the fall foliage, but Ann is talking about the importance of having artistic opportunity on the island during the winter. Given the very specific vision of these opening shots, we’d like to suggest that our team return to the island with simply a camera and tripod with the goal of capturing winter shots of the island to compliment Ann’s opening words. The simple creative direction and reduced camera kit will hopefully allow us to shoot this for a cost that is fair to both of us. WIll will send you an estimate for this, plus an additional revision for post-production soon. We welcome your candid feedback on the rest of the piece. We are looking forward to creating the final story. When possible, please send the Featherstone logo and text for the final title card when possible. Here's the new opening with the soundbite about opportunity in the winter on the Vineyard. Let us know if this is what you're thinking. 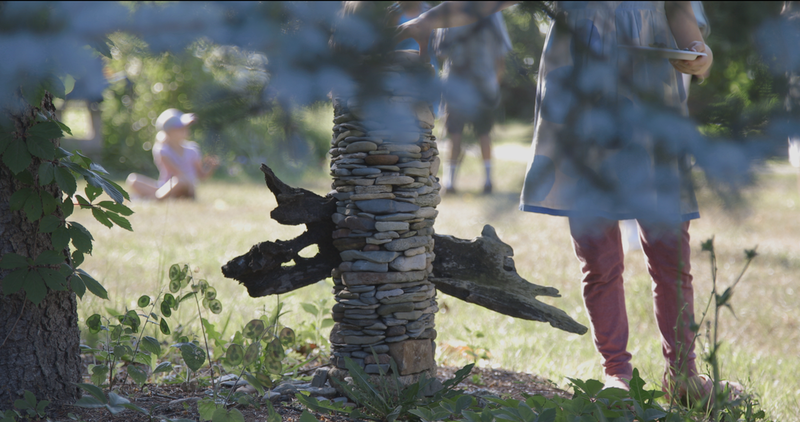 Our sense is that we have so much material from Ann, we don't need to reshoot with her. The opening is black, of course, to allow a placeholder for the scenic shots of the campus that we have discussed. - Removed Francine's portrayal of Featherstone before 2003. - Ann and Francine now serve as an example of family value, not the only story themselves. - Added higher energy shots of large event - people hugging, laughing, making music. 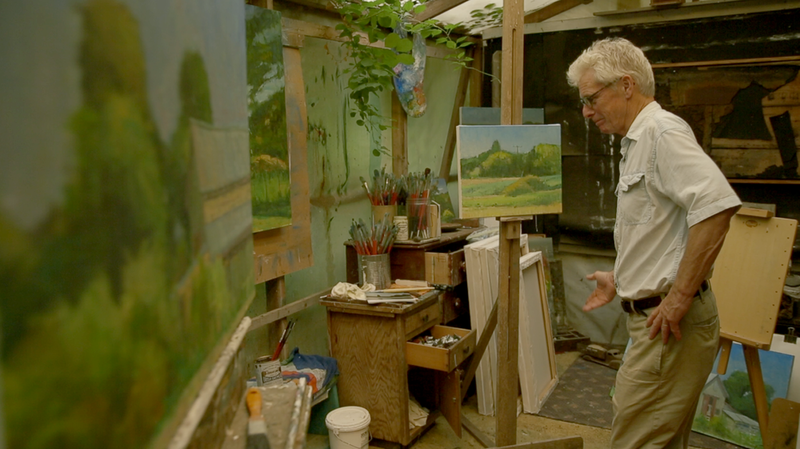 - Added Ann's soundbites about specific need for new space and shots of overcrowded gallery, barn studio. - End title. What is the audience's call to action? - Ann and Francine's scenes, to be replaced after re-shoot. - Replaced shots of flea market with higher energy shots of an outdoor event. - Added wider shot of classroom to show more students at table during art camp. - Replaced Debbie's soundbite from "center of wheel / center of life" to "perfect point in my life to find a passion." - Added wider shot of Leslie working with another screen printer to show more artists in room. - Turned up the volume on Allen's soundbite. - In general, need more energy, more excitement. Insert footage of music, events, openings, studio classes. - Cut flea market footage - too gray and stagnant. 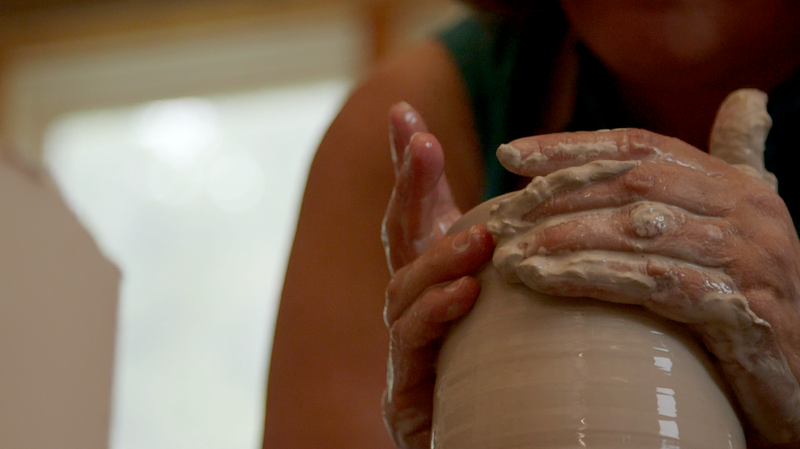 - Change Debbie's quote from centering clay to how she discovered pottery later in life. - Boost audio levels of Alan. - Style and tone of Francine and Ann not working. - Too stiff, too scripted. - Story not about negatives of old Featherstone, but history is instead contextualized by continuing a legacy. A walking, talking, Ray-Ewing-style interview with Francine. Let's capture her true, light-hearted nature in a candid setting as she interacts with others on campus. Shot of three second generation board members with portraits of their mothers. Shoot musical monday, an opening, or other event of high energy, if necessary.